You will be provided with a ceremony dreams are made of. 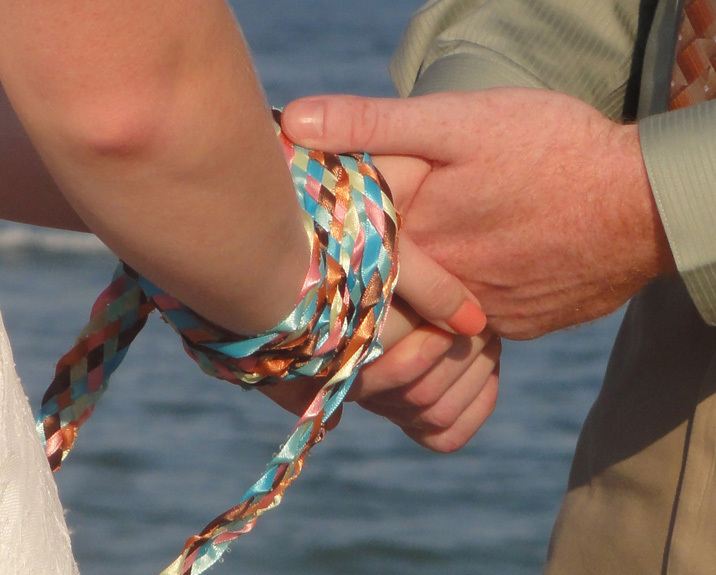 In some ways, a handfasting is much like a typical marriage. The origins of handfasting lie in ancient celtic traditions, though the modern ceremony has similarities to that of the better – known christian marriage ceremonies. 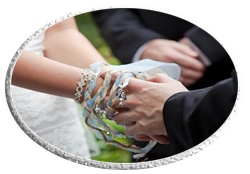 The ritual of handfasting can indicate either betrothal or itself be the marriage ceremony, and it revolves around a simple ceremonial act where the couple clasp their hands, which are then draped and tied with a ribbon. One of the unique features of a handfasting is that the ceremony is conducted inside a circle. The circle is a significant symbol in many cultures and faiths and it forms a central part of the handfasting ritual. In this case a circle is a symbol of eternity. It shows that love, life, and happiness have neither beginning nor end, but are eternal. A unique handfasting ceremony will be a beautiful and memorable event that will set you and your partner on the path to your future together. Talk to us today and we will help you create a totally unique, bespoke ceremony taking into account your beliefs, your personality and character. We work with your inspirations to make the day one that you and everyone will remember. From beach weddings and woodland unions to midnight services in any location, we can make sure your vision becomes reality. The origins of handfasting lie in ancient celtic traditions and just like marriage ceremonies it is a celebration of the lives of the spouses and their relationships. We can help organise a bespoke & unique ceremony for you. Renewing your wedding vows can be meaningful, touching, and rejuvenating for you, your children, your family and friends. The chance to commit to your enduring bond to each other as your loved ones watch on can be truly moving. Naming ceremonies are a beautiful way to welcome a child into your world. This ceremony is perfect if you do not wish to hold a traditional christening in a church, but still want to mark the occasion in a special way. Some of my past clients share their experiences! 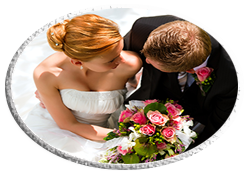 We are a part of your big day, and so you need to feel a connection with me! If you have any questions please feel free to contact me. I am always happy to talk and respond to any of your unanswered questions. I always recommend that you should speak to your celebrant before booking them.